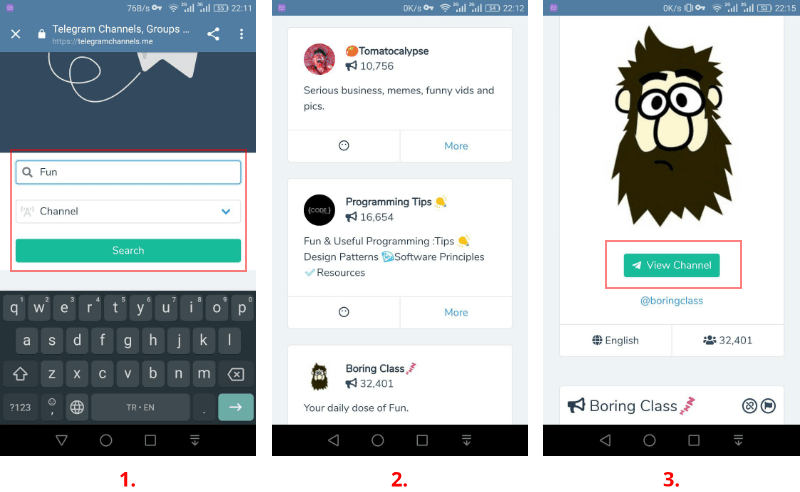 How to find Telegram channels? Telegram channels are a way to broadcast to your audience. 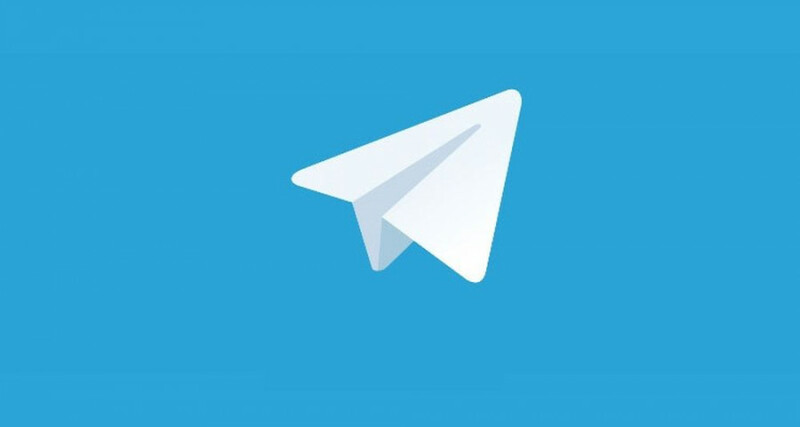 There are many types of Telegram channels you can join and follow them in almost every subject. Click on the magnifier icon on the top right. Type your word in the input field. The telegram will search all of your chats and public channels names and display some public channels for you (usually only 2 channels). Click on that you like and join it if you like it. Type your word and press search. A list of channels that related your search will be displayed. Click on one of them that you like. Click on "View Channel" to view the channel on your Telegram. 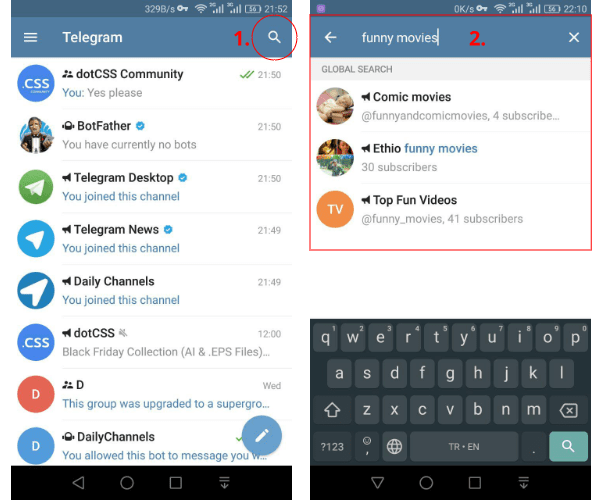 You can find more interesting channels in Telegram Channels by surfing in the categories and sorting Telegram Channels. Also, you can search for groups and bots and yes, you can rate your favorite channel or add a channel to the list.